What is Zoho Vault ? Zoho Vault is an online password management software which works best for teams as it secures, stores, shares and manages all your passwords from anywhere, in the most organised and secured manner. 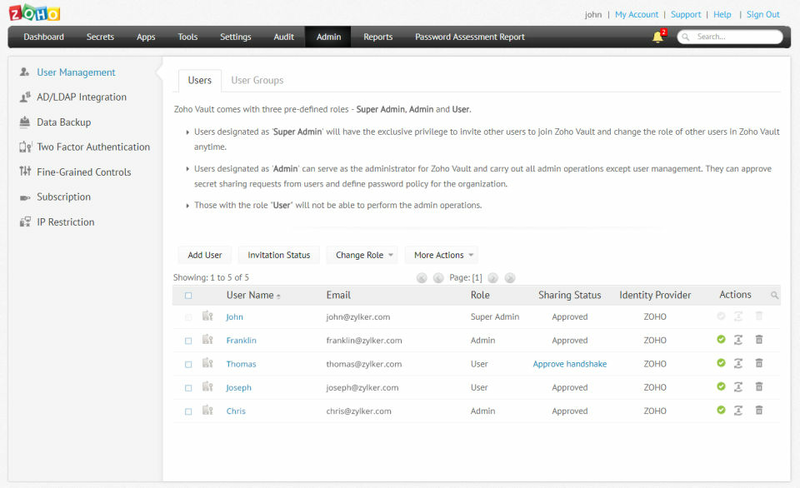 Zoho Vault encrypts your passwords with the strongest encryption standards, grants different access privileges to safely share common passwords among participants when working as a team, allows direct logins and complete control over access, tracks actions of team members and even helps gain visibility on which member has access to which category of passwords. In case a member leaves the organisation, he/she instantly loses access to the saved data, thereby securing passwords from being mishandled. This software readily integrates with the most productive suites and directories so as to enable easy onboarding. So, for rock solid security and complete privacy of your passwords, get Zoho Vault, the ultimate password management software that makes team functioning easy, reliable and secure. How much does Zoho Vault cost ? 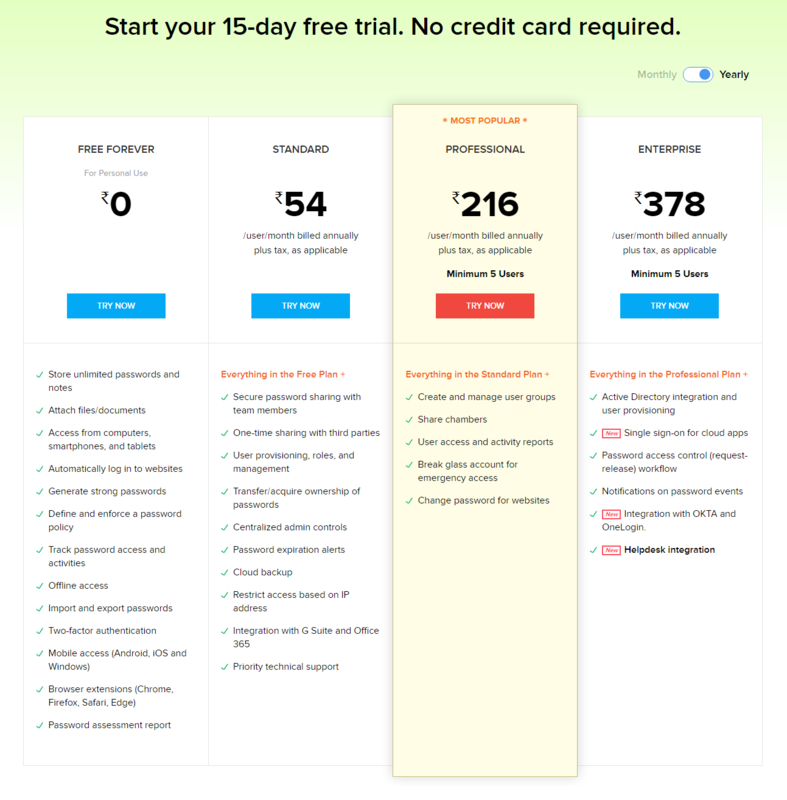 The pricing for Zoho Vault starts at $1.0 per month. Zoho Vault has 3 different plans such as - Standard at $1.0 per month, Professional at $4.0 per month and Enterprise at $7.0 per month. Zoho Vault also offers a Free Plan with limited features. Integration with OKTA and OneLogin.